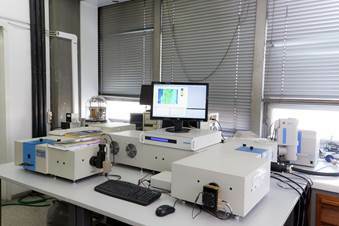 Time-resolved fluorescence system, Horiba / Jobin Yvon, NanoLog, with 3 detectors: steady-state & time-resolved fluorescence / 2D NIR photoluminescence map capability together with multiple laser lines. 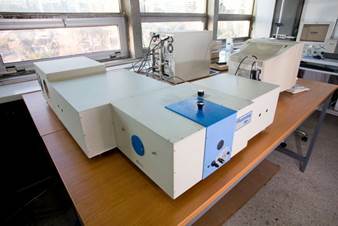 Fluorescence spectrometer Jobin Yvon, Fluorolog 3. 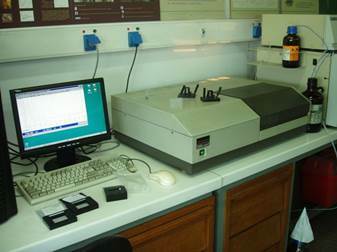 UV-VIS-NIR spectrophotometer Perkin Elmer, Lambda 19.